Satya for every individual is different but the ultimate satya wont change is a fact. When the person is true to himself then path to attain self awareness is obtained. He becomes fearless about what the worlds perspective about him is and becomes true to the world around him. Acceptance is the vital part in the path of self awareness, accepting yourself the way you are brings you close to ultimate satya. 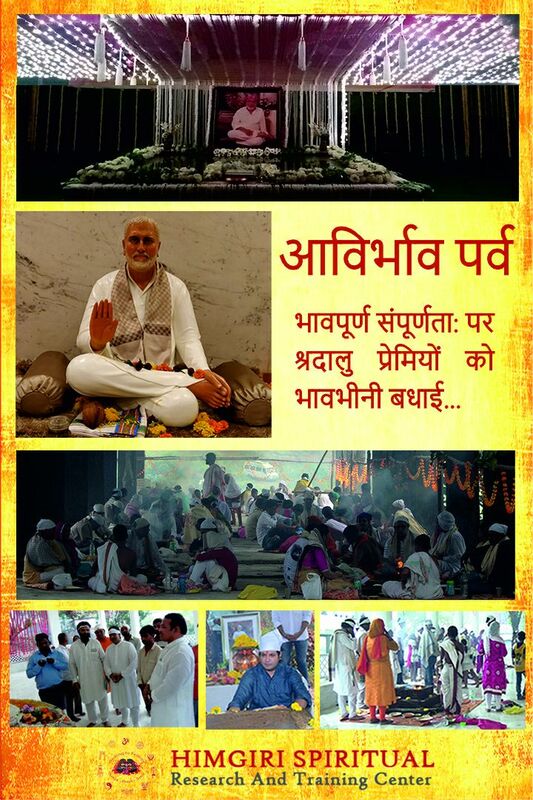 A guru helps us to understand essence of Satya. Because a Guru is Satya himself. His guidance through the path of satya will always lead to the ameliorations of his disciple. Every impossible door can be broken with Love. Love in a broder concept is a higher form of emotion, when the person understands that emotion he is free from all bondages. In simple words, Love is treating everyone equally. No discrimination everyone is part of one and has come from one. When you emote the feeling of love in you, only then will you meet and greet people with love. As the universal law says, only when you give, is when you get and this can be true or rather is true for all forms. As we know, Seva is nothing but selfless service and the fruits of such selfless service can be attained only when done with Love and Care..
A Guru teaches the true value of love and affection but also makes us understand ego is nothing but a layer of the reel life. A true Guru, will always accept his subjects irrespective of their deeds, nature or religion. If he being the Universe himself can accept us with open arms with only one desire to mould us from negative to positive, then why cant we! Be loving. Be kind.. The only thing that matters. Seva refers to “Selfless Service” i.e. any kind of work or service done without expecting any fruits in return. Satya and Seva go hand in hand, any form of Seva, be it big or small, can never be fruitful enough unless done with true intentions. Selfless service is a devotion to our Almighty. The law of life is not to be only personal but universal and this can be attained through Seva. When you start believing that everyone has come from one. When you serve others, indirectly you serve yourself . Kabir, the poet - saint was humming a doha(a couplet) as he sat weaving in his hut. It is natural for saints to revel in divine thoughts, even while engaged in work. Suddenly, the front door of his hut was thrown open and there stood a ruffian, “Quick, show me a place to hide, the policeman is after me!” demanded the intruder rather rudely. Kabir, in his unique style, casually pointed to the bales of cotton. The policeman, looked at Kabir’s face and thought that Kabir was lost in his own world, like saints are. So he did not take him seriously and left hurriedly. The thief gave up his wrong ways and became Kabir’s disciple. Once there was a man who asked God for a flower.... ....and a butterfly. But instead God gave him a cactus.... ....and a caterpillar. The man was sad, he didn’t understand why his request was mistaken Then he thought: Oh well, God has too many people to care for... and decided not to question. After some time, the man went to check up on his request that he had left forgotten To his surprise, from the thorny & ugly cactus a beautiful flower had grown And the unsightly carterpillar had been transformed into the most beautiful butterfly. GOD always does things right! His way is ALWAYS the best way, even if to us it seems all wrong. If you asked God for one thing & received another, TRUST. You can be sure that He will always give you what you need at the appropriate time. What you want.......is not always what you need! God never fails to grant our petitions, so keep on going for Him without doubting or murmuring. Today’s THORN... Is tomorrow’s FLOWER! GOD GIVES THE VERY BEST TO THOSE WHO LEAVE THE CHOICES UP TO HIM! Once there was a king, after many years he was blessed with a baby boy. The King was a very kind, loving and generous towards his son. The King loved and pampered his son and ensured that he gave the best education to his son by sending him to the best school referred to as a ‘Gurukul’. Till the age 16 he stayed with his mother and father in his royal palace and in a boarding school (Gurukul). One day the son received a dream and asked his father to take him to meet Lord Buddha and also wanted to reside at Lord Buddha’s ashram, Rarthana . The King avoided this matter for a few days by ignoring his son. But, one day, the son took a pledge of going that very day, and the helpless father had to take him to the ashram of Lord Buddha. After they reached the ashram, the son asked the father to return back to his kingdom, as he would stay there and serve for the people. This was his final decision. Lord Buddha told him I will give you the divinity to be able to see your past two lives. He readily agreed to that and closed his eyes. The son saw that in his first birth he was a male elephant and used to help everyone in the herd. Once there was a fire in the jungle, where he tried to save all the elephants and the remaining animals in the rest of the jungle. In doing so, he was trapped in the fire, but being able to save everyone made him content and he gave his life up in that fire itself. In his second birth, he was born as a female elephant, one day in the jungle it rained heavily, the whole jungle was shattered; all the animals were running here and there to protect themselves, and at last they all took shade under a massive tree. The female elephant had also stopped there to take shelter under the same huge tree. In a short while, the elephant raised his foot in order to change the position of one of his legs, and at that same place a rabbit sat down under the feet of the elephant. When the elephant saw the rabbit sitting there, she did not keep his foot down because he knew that if he kept his foot down, then the rabbit would die by his foot, so the elephant did not keep his foot down until the rabbit was below his foot. 3 days later, when all was quiet, the rain had stopped and the rabbit had moved from under the elephant’s foot and the elephant felt happy that he was able to save the rabbit’s life. Now the elephant tried to keep his foot down to but couldn’t. Her leg was numb, and because of which she fell in the mud and as it had rained the mud was lose due which the elephant got stuck deep in the mud and died. The elephant’s desire to meet God in every birth was intense but unfulfilled, because of this, in his third birth he was born in the human form and he had the inclination to meet Lord Buddha and even got the opportunity to serve him. After seeing all of that, the son realised the purpose of his life, he opened his eyes, bowed down and took blessings from Lord Buddha and from that moment onwards he dedicated his entire life to “Seva i.e. Selfless Service” in his God’s feet.